How to become a consultant from a legal background – our explainer video – will show those who have been in the legal field (either in law school or as a full-time lawyer) how to transition to management consulting. There are many different career paths to consulting, but there are some specific things you should understand when transitioning from law. 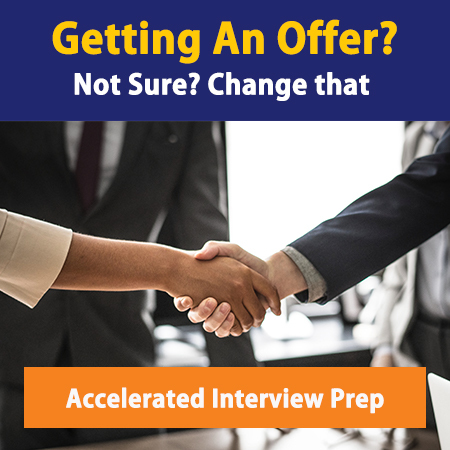 This quick video will become your new best friend as you look to leverage your law background into a management consulting offer. Have you ever wondered what it’s like to break into consulting from a law background? Well, we’ve got a lot of really great insights on this, because we’ve worked with hundreds of lawyers over the last couple of years to break into consulting. And we work with people at two stages in their law careers. First of all, folks that are going through the law training process, in law school, who are thinking about an alternative to law – they’ve seen the light, discovered an epiphany – that the practice of law isn’t going to be their dramatic lifetime desire, so they are looking for other options. And the second time is after someone has practiced for a couple of years, usually somewhere between 2-8 years. They are either at the nearly partner level, or thinking about maybe making a switch more permanently over into consulting. A couple of factors that you need to think about: first of all, when you’re in law school, it’s a great alternative to law, when you go into consulting, especially early on. You have the benefit of having an MBA level salary, but only three years of school experience, and really, no major work experience. So coming in from just a law background gives you actually a leg up pretty early on in your career. If you’ve graduated from law school, on average when you’re 25 or maybe 26, if you took a gap year, then you’re starting in general in consulting about 2-4 years earlier than most people are when they’re graduating from their MBA. So you’re going to roll up the pay scale, roll up the promotion scale, a lot faster. And then if you want to leave and go into industry, you’re going to get there faster as well. So…consulting is a major accelerant to your career, if you go in from a law background. Also, if you’re a lawyer, you’re kind of a special, prized possession. You’re usually great at oration, amazing at persuasion, and some of the other tactics that really help people advance inside consulting – they are really beneficial. One thing you have to be aware of, however – consulting and law are totally different, and the skills that you used, about 60% of the time in consulting, you’re spending in Excel. You’re not spending that when you’re normally in law. So you’re going to use a different skill set, and not everyone is suited to it, so just be aware of that. Also, if you're a lawyer, you're kind of a special, prized possession. You're usually great at oration, amazing at persuasion, and some of the tactics that really help people advance inside consulting.